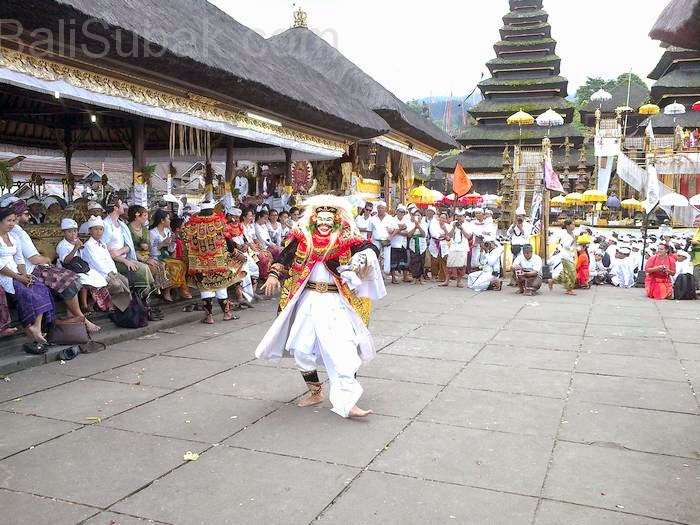 Balinese Mask dance is usually performed when there is great ceremony at a temple. 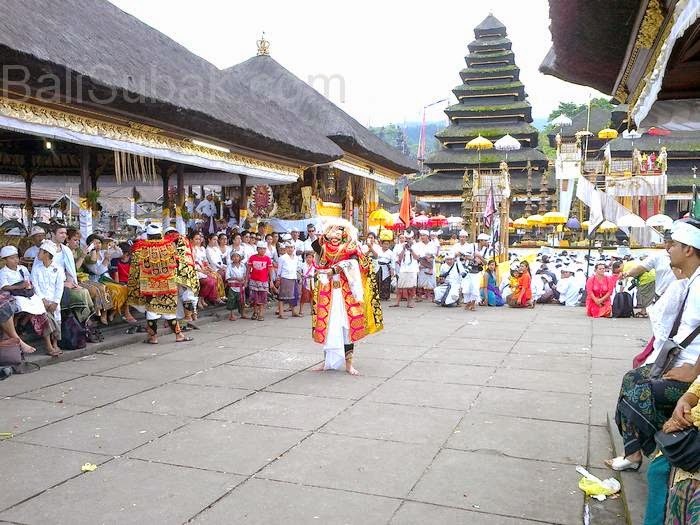 Some time ago, Mask Dance also performed in the area of Besakih temple. This dance captivated the attention of many visitors. In fact there are foreign tourists who like to sit to watch this dance. Besakih Temple is located in Mount Agung, Karangasem, Bali Indonesia. Balinese Mask Dance performed at Besakih it purports to convey messages and lectures on religion gets to the people who will pray. Mask Dance further highlight aspects of drama and story rather than the beauty of motion. Mask Dance performed at Besakih danced by three people. Everyone plays several different characters. The most recent figure character is someone who is very old, but has a very high spiritual knowledge, a highly respected and trusted by anyone. The dancers are accompanied by the music of the gamelan. Gamelan played by different artists. Gamelan actors and dancers are two different art, is not included in a group. For everyone who studied the gamelan, at they can play music for the sake of ritual. Mask Dance is part of Hindu ritual in Bali. So every music artist, at least have the ability to play music that is intended for rituals in the temple. Concept held by dancers and musicians on the gamelan is devotion to God and the community. Usually the music player is not paid when playing music in the temple. They serve with sincerity and unwilling. Mask Dance dancers are also the same, except that dancers are paid with a genuine concept iklas, money given only limited to the cost of transportation and treatment the mask.